Thread: Money laundering through cryptocurrency? Please read the laws first! Laws that prevent financial crime are needed by any society. But there is one problem - these laws sometimes have consequences for law-abiding citizens. Regardless of your beliefs, to know and understand the facts is essential, as ignorance is no excuse. In late 2012, HSBC was in hot water and fined almost $2 billion because it had failed to prevent criminals from using its infrastructure. Its division in Mexico had inadequate money laundering controls, with a US senate committee report accusing it of being reluctant to close suspicious accounts. The report also concluded it had circumvented strict rules to do business with the likes of Iran, North Korea and Burma, which the US defines as “rogue states.” Two of HSBC’s divisions were found to be altering transaction details to remove references to one forbidden nation. On top of this, it was claimed HSBC had links to organizations that funded terrorism. On November 28, 2017, the US Senate, Committee of the Judiciary held a hearing regarding bill S.1241: Modernizing AML Laws to Combat Money Laundering and Terrorist Financing. Anti-money laundering laws in US were originally created to prevent cocaine barons from legalizing their money. S.1241 is intended to modernize the law, which will provide law enforcement agencies with more tools for prosecution and closing loopholes in the law. S.1241 also adds section 13 on cryptocurrencies, bill S.1241 itself would amend the definition of ‘financial institution’ in the United States Code to include to include “an issuer, redeemer, or cashier of prepaid access devices, digital currency, or any digital exchanger or tumbler of digital currency.” This could have alarming consequences for users of cryptocurrencies both in the US and abroad. Namely, the law increases the term of punishment from 5 to 10 years for persons who smuggle more than 10 thousand dollars in the United States and abroad; clarifies the rules for moving money to and from the United States for tax evasion; changes the status of “digital currencies” and defines it as a “financial instrument” (section 13). In Russia, interest in someone else's wealth is not as stable as in the West. But laws also exist. It is engaged in struggle by the Federal Financial Monitoring Service, which complies with the principles of the FATF Global Organization. The main law of the country: "On countering the legalization (laundering) of criminal proceeds and the financing of terrorism." How global is the problem of money laundering? Senators at a hearing in the US Congress provided convincing statistics on the ineffectiveness of existing anti-money laundering laws in the United States and around the world. 99.99% of illegal money laundering bypasses the investigation. The International Monetary Fund estimates that money laundering is about 2–5% of global GDP each year, or about 1.5 to 3.7 trillion dollars in 2015: almost the size of the US federal budget. Similarly, the United Nations Office on Drugs and Crime conducted a study to determine the extent of trafficking in illicit funds. According to the Office, the income from criminal activities in 2009 amounted to 3.6% of global GDP, approximately 2.7 trillion US Dollars. The World Bank and the IMF believe that each year from 2.17 to 3.61 trillion dollars is laundered. 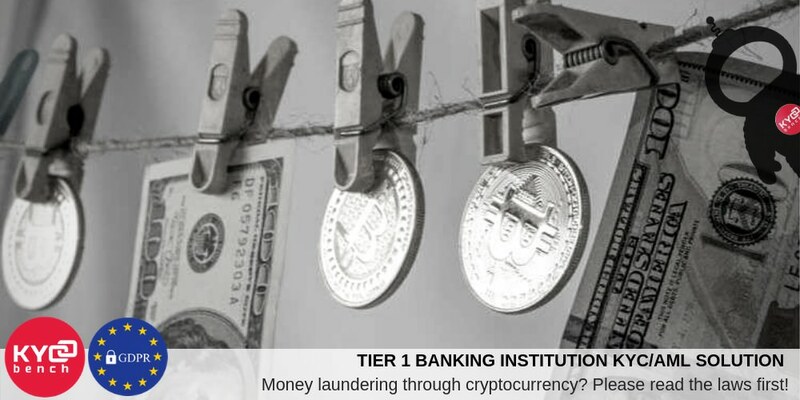 Criminals are ready to test new methods of money laundering and are among the first users of new technologies. Because of this, anti-money laundering laws should evolve. When it comes to anti-money laundering, implementation of KYC for ICOs is critical. It aims to minimize the number of criminal acts and ensure the safety of token sales. Figuratively speaking, it’s a protective measure for ICО projects and their backers allowing them to run business in a transparent way. The stakes are high, and what everyone really need is trust. KYCBench was created to offer an outstanding KYC platform, which increases international AML and legal compliance with the potential to speed up registration process without increasing costs or reducing transparency for any blockchain solution. KYCBench is helping its customers with their AML and KYC compliance needs. The main aim is to cut the risk of fraud and reduce the costs of compliance by using comprehensive ID verification and AML watchlist monitoring technology with the highest security standards and integrated same automation technologies that leading financial institutions and fintech companies are using.